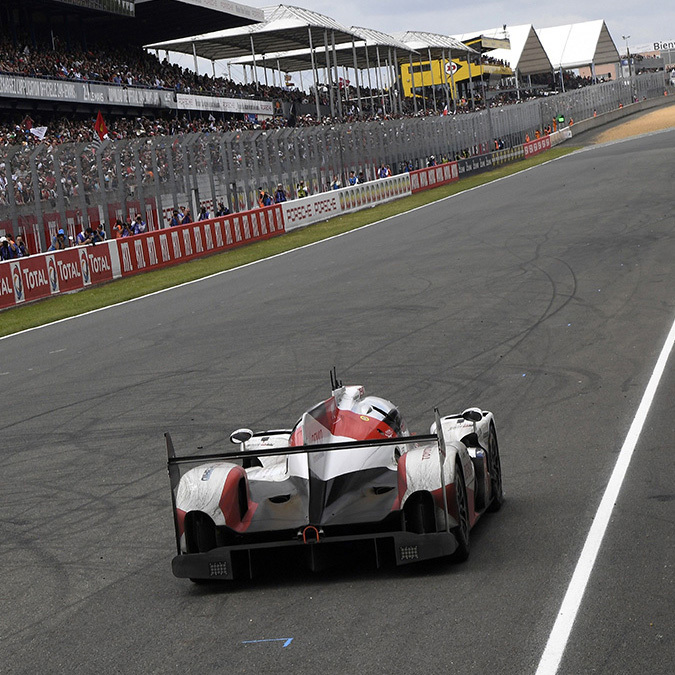 In the aftermath of one of the most thrilling runs of the 24 Hours of Le Mans, both Toyota and Porsche are reminding us that the best part of racing comes from the heart. This article was originally published on The Drive on June 20, 2016. Check out thedrive.com for everything cars, culture and the people who made both. Be gracious in victory, let defeat stoke the fires. In the aftermath of one of the wildest runnings of the 24 Hours of Le Mans, both Toyota and Porsche are reminding us that the best part of racing comes from the heart. Technology changes, people don't. “Competed together for 24 hours. Toyota's efforts certainly earned the respect of the fans, but to see Porsche's juggernaut also publicly acknowledge their rival may ease Toyota's pain. Respect, after all, is handed out parsimoniously on the race track. The Toyota TSO50 Hybrid N°5, driven by Japan's Kazuki Nakajima, is pictured at a standstill after it suffered engine failure, in the final lap of the 84th Le Mans 24-hours endurance race. There are, of course, other forms of motorsports out there. However, on the world stage, Le Mans just keeps getting better and better. Start the count-down: 364 days to go.